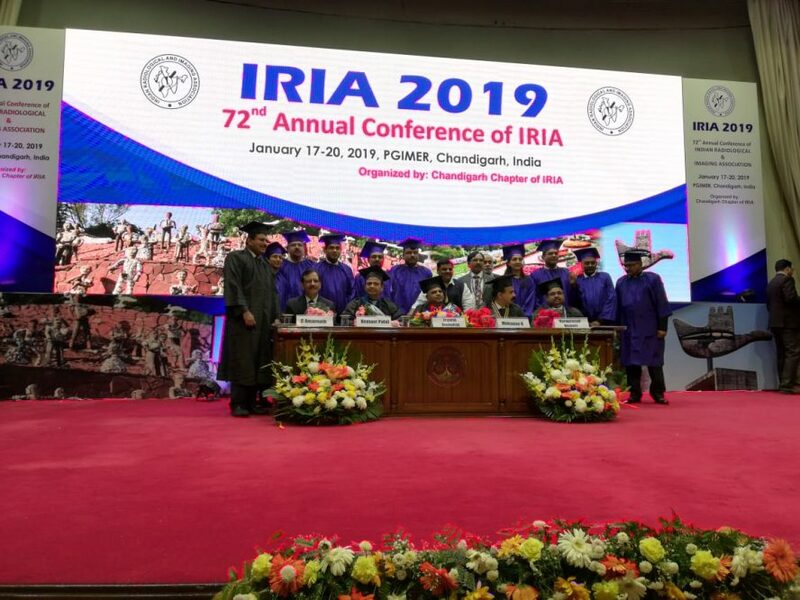 The 72nd Annual Indian Radiological and Imaging Association (IRIA) conference inaugurated at PGIMER in Chandigarh was was graced by dignitaries and members of the national and Haryana State chapter of IRIA. Over 200 eminent radiologists, diagnostics, imaging experts from across India and globally congregated at IRIA 2019. Dr K Mohanan, President, IRIA, informed that IRIA research education collaborative programme will now be a national level programme and emphasised that robust research is the need of the hour. According to him, the research programme will be a collective step towards this mission. Further it was announced that Dr Hemant Patel, MD, Gujarat Imaging Centre, will be taking over as the next National President of IRIA. The inaugural ceremony ended with the felicitation of radiologists for their contribution towards improving radiology practice and education.